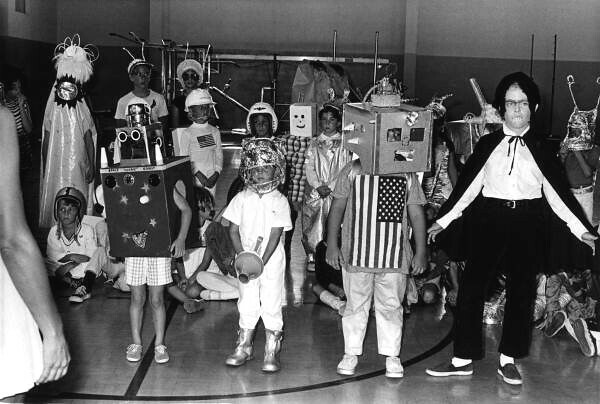 Pine Crest School students wearing Halloween costumes in Fort Lauderdale, Florida | Flickr - Photo Sharing! BigClownshoes, aquietlife~M, and 30 other people added this photo to their favorites. Scifi! LOL at the one in the big robot head and American flag.